HITMAN 2 - Everything you need to know! Eliminate your target at all costs as HITMAN 2 is set to launch next week on November 13th (or tomorrow with the Gold Edition). While you wait for the game to launch find out more about it with our handy recap guide! HITMAN 2 is the action sequel follow up to the 2016 reboot HITMAN, which sees Agent 47 return to take down targets as he travels the globe. Like the original game Agent 47 will have access to a number of tools at his disposal such as rubber ducks, disposable scramblers, tasers and more! Travel to new locations including Miami, Columbia and other places. Tackle the missions as you see fit with the huge sandbox levels allowing players to eliminate their targets in a number of ways, and giving opportunities to being creative with how you decide to complete the levels. You'll also be able to replay the levels to find new challenges and try out new tactics which will reward unlock new rewards, starting points and perks. This time around the game will deliver all the Episodes at once, rather than over time as the previous game did which gives more content to the player at launch. There's also the online Sniper Assassin Mode that offers up an alternative way to play the game with challenges that can be completed against players from around the globe. And for the first time in the series HITMAN 2 adds the Ghost Multiplayer Mode that allows 2 players to go head to head as they see who the best assassin is. If that wasn't enough the game also includes the HITMAN 2016 levels and content for all owners of the original, with remastered versions of Paris, Sapienza, Marrakesh, Bangkok, Colorado and Hokkaido. They'll also include brand new features from HITMAN 2 such as a new progression system, new gameplay items, a picture in picture mode, new difficulty levels, improved A.I. and much more. Looking for a recap on all HITMAN 2 trailers, gameplay videos and other videos you've missed? We've put together a playlist for all that below! Those looking to start Agent 47's journey can start playing from November 13th at 6pm GMT / 7pm CET. If you purchase the Gold Edition you'll be able to play 4 days earlier on November 9th. Anyone who pre-orders the game will get instant access to the Sniper Assassin Mode. Note: It's currently unknown if the game will have a preload, but should one appear we'll be sure to update the article. Still on the fence with which version to get? Gamesplanet to the rescue! We've prepared a handy version comparison to help players decide which version is the best for them! 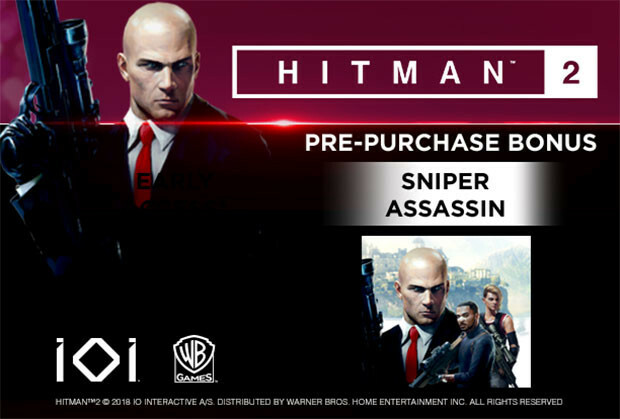 All copies of HITMAN 2 come with the Sniper Assassin Mode which can be played instantly after purchase, and you'll also get a copy of Hitman GO: Definitive Edition if you pre-order before the November 13th release. Those purchasing the Gold Edition can enjoy a 4 day early access period from November 9th. HITMAN 2 launches November 13th (or November 9th with the Gold Version), you can pre-order now to get your code and start playing the Sniper Assassin Mode now while you wait for the launch! Problems with HITMAN 2? We're here to help! 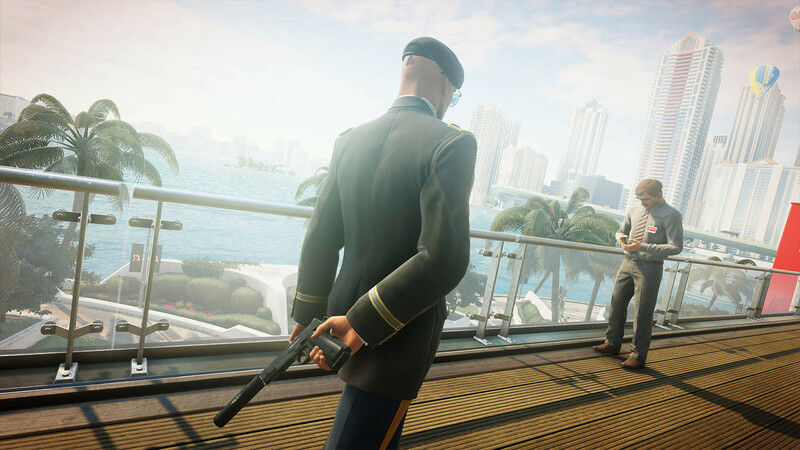 Getting a new game is an awesome experience and we want to make that as trouble free as possible, so we've put together a guide of common troubleshooting problems and FAQ's to help you out with HITMAN 2 on PC. You can find our Help Topic here.